This is such a beautifully simple dish, inspired by a Nigella Lawson recipe from Nigella Summer. As Nigella says herself, it’s really more of an assembly job than cooking. The star of the original recipe is griddled aubergine but because we currently have a glut of yellow, patty pan squash in the garden, I thought I’d experiment by swapping the aubergine for squash. And I’m pleased to report it wasn’t a complete disaster. The griddled squash didn’t hold together quite as well as aubergine would have done, and so the end result probably wasn’t quite as pretty as it should have been, but it was stonkingly tasty nonetheless. The creamy filling of lemon-soaked feta partnered with chilli and mint is gloriously fresh and zingy, making this an incredibly moreish dish while being really rather healthy at the same time; a very good combination, if you ask me. 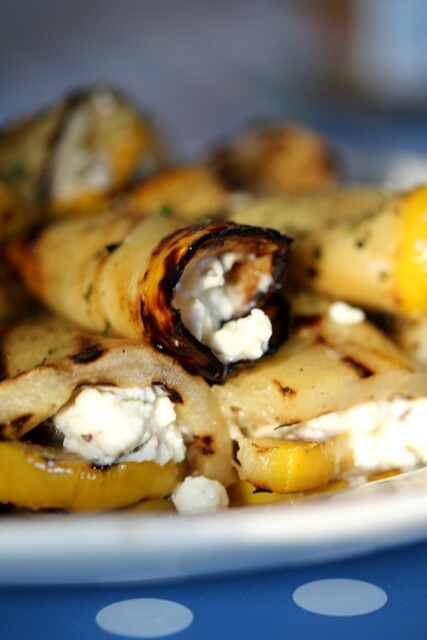 Preheat the barbecue or griddle to a high heat. Toss the squash slices in the oil, and cook them for about 2 minutes on each side until golden and tender. Crumble the feta cheese into a bowl and mix in the chilli, mint and lemon juice and a grinding of black pepper. Pile the end third of each warm squash slice with a heaped teaspoon of the mixture and roll each slice up as you go to form a stuffed bundle. Place join side down on a plate and finish with a sprinkling of mint. 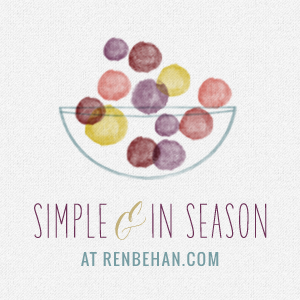 Squash is very much in season, and so I’m also entering it into Ren Behan‘s Simple and in Season challenge, this month hosted by Elizabeth’s Kitchen Diary. 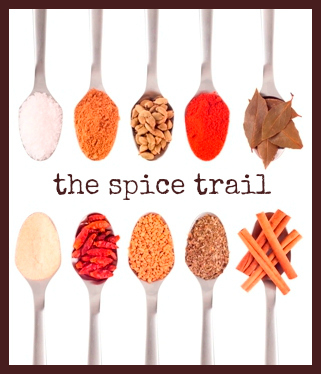 I’m also entering it into my own Spice Trail challenge as the theme this month is Beach Barbecue. And finally, despite not using the key ingredient aubergine, I’m also submitting it to Nigella’s Cookalong contest. I bet that tasted amazing, I will have to try this. Thanks Helen, it really did. I love it when healthy food tastes this good! Oh my, that filling. I want it all. Beautiful! 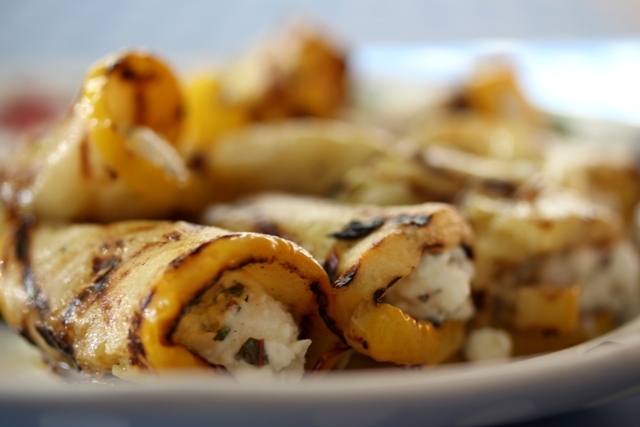 Love these flavours and I never thought of grilling, stuffing and rolling squash before. So clever! 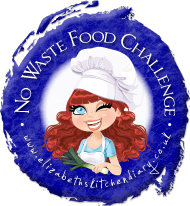 Thank you for sharing with Simple and in Season and the No Waste Food Challenge. Reblogged this on Passion 4 juice Blog and News.